Brazil recently passed the United States as the largest world consumer of pesticides. The $7 billion market is primarily used on two of Brazil’s largest cash crops – soybeans and sugarcane. 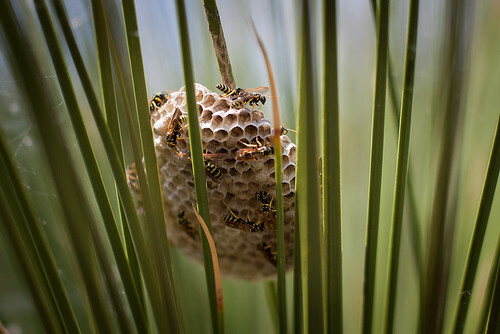 Wasps are now the good guys in the attempt to green agribusiness giants with operations in Brazil such as Royal Dutch Shell, a worldwide producer of sugarcane. The company Bug Agentes Biologicos (Bug) has figured out a way to mass produce wasps that are actually sprayed via airplane onto crops to combat the larvae and stinkbugs that threaten sugarcane and soybean plants. By “protection”, Jardim is referring to the need for wasp wings to be guarded and preserved until they grow big enough for flying. If the wings are not adequately protected, wasps become the target of ants who will use them for food. Wasp spraying is a preventative measure for farmers that eliminates the eggs of pests which precludes damaging infestations which would then require heavy pesticide spraying. Currently, wasp spraying via Bug Agentes Biologicos is the only alternative approved by the Brazilian Agricultural, Health, and Environmental Ministries. The company is at 100% capacity and plans to double the acreage it covers in 2012. The only discouraging news about this promising new green technology is that Bug favors selling to Brazil’s agribusiness instead of small organic farmers.